Posted on Thursday, July 28th, 2016 at 1:00 am. Fill in the blank. I want to raise a _______ child. 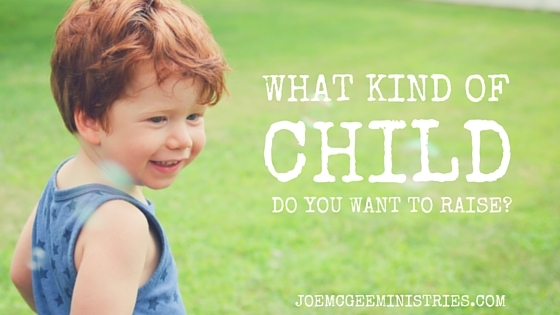 If you are being honest with yourself, what kind of child do you want to raise? Happy? Smart? Talented? All parents have unspoken expectations, but it’s important to know what kind of child we should be raising. Posted on Wednesday, July 27th, 2016 at 1:00 am. As parents, we want to protect our children, but there is one bully they are guaranteed to face and we need to train our children to stand up to them. The Bible says that kids are a blessing from God, and Psalm 127:5 (NIV) says, “Blessed is the man whose quiver is full of them.” My wife and I have six of them, so I am one blessed man! I’m thankful for each one of my kids, and I know that Denise’s and my job is to raise them to be a godly seed. We’re to train them in the Word of God and teach them from an early age who they are in Christ, what God says about them, what God says they can have, what God says they can do, and how they’re supposed to interact with others. I want my kids to know they don’t have to live according to Murphy’s Law or live some sad, country song kind of life. They can live according to a higher law—God’s law of blessing—and have happy, successful, abundant lives. Posted on Tuesday, July 26th, 2016 at 11:53 am. In this passage of scripture, Jesus is explaining how to identify someone. This is true of being a problem solver. If someone is always making a bad situation worse, that’s fruit. If someone brings hope, God’s Word, and peace, that’s fruit. We are all known by the fruit we produce in our life. Let’s choose to make that good fruit. Using God’s Word as your guide, you have everything you need to be a problem solver, but it’s up to you to develop that habits and produce the fruit. Posted on Tuesday, July 26th, 2016 at 1:00 am. A lot of times when we think of the word peacemaker, we envision a long-haired hippie from the ‘60s holding his hand in the air displaying the peace symbol and saying, “Peace, man!” Well, let’s just say the ‘60s Peace Movement ruined the word “peace” forever! Posted on Friday, July 22nd, 2016 at 1:00 am. Revelation 12:11 tells us that we overcome by the Blood of the Lamb and the Word of our testimony. Posted on Wednesday, July 20th, 2016 at 1:00 am. For our children, memorizing scripture is more than a Sunday School activity. It’s necessary for them to successfully establish a relationship with their Heavenly Father. It helps them begin to understand His character. Posted on Tuesday, July 19th, 2016 at 7:30 pm. 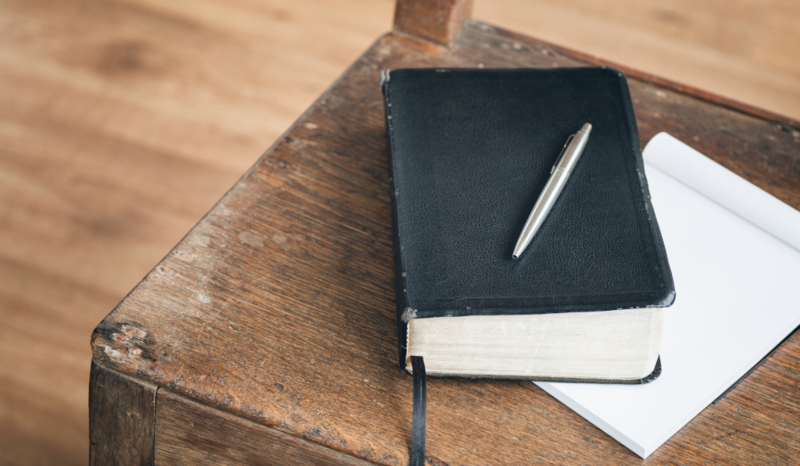 Memorizing scripture is more than a way to win a prize in Sunday School. It’s instrumental in helping our children develop into all that God has called them to be. Do You Know What the End Goal of Parenting is? Posted on Thursday, July 14th, 2016 at 1:00 am. If you don’t know the end goal of parenting, then chances are you’re going to spend a lot of time being confused about how to parent. One day the experts will say one thing and the next you will find out that you were doing things all wrong. There is a source that doesn’t change, and that’s God’s Word. In His Word, He gives us specific instructions. We are told to train up our children in the way they should go, so that when they’re grown, they won’t stray from it. 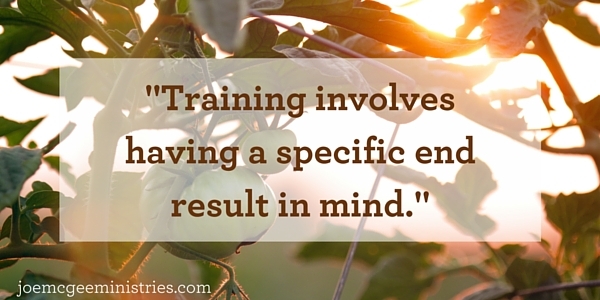 Training involves having a specific end result in mind. Training is showing our children what to do and then seeing to it that they do it. Training is vital to success in life.